2. Dry Herbs (in the form of tea, spices, etc). 1. 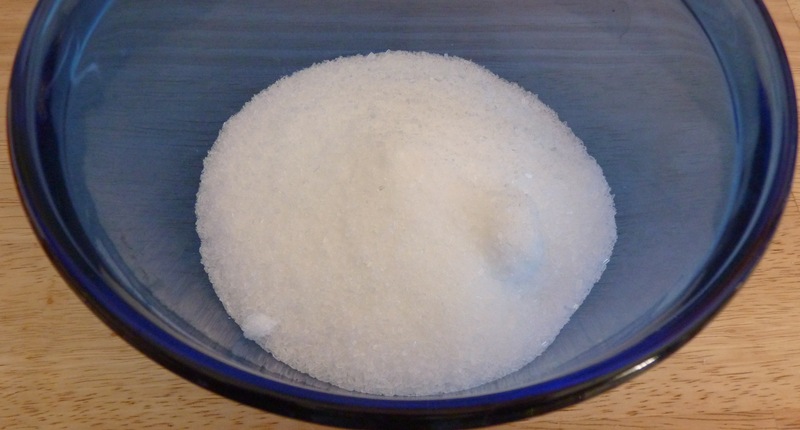 Pour epsom salt into a mixing bowl (the amount you use depends on how much final product you want to create and what other ingredients you include). If you want to color it, mix in your food coloring. I used about 2 cups of epsom salt. 2. Add tea/herbs and blend well with salt. 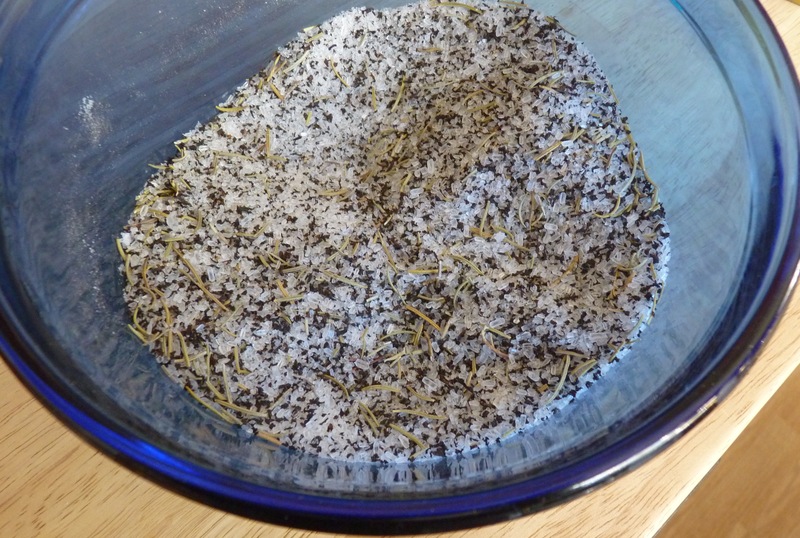 I used a 1/3 of a cup of loose tea and about 3 tablespoons of rosemary. 3. Slowly add oil, blending well. 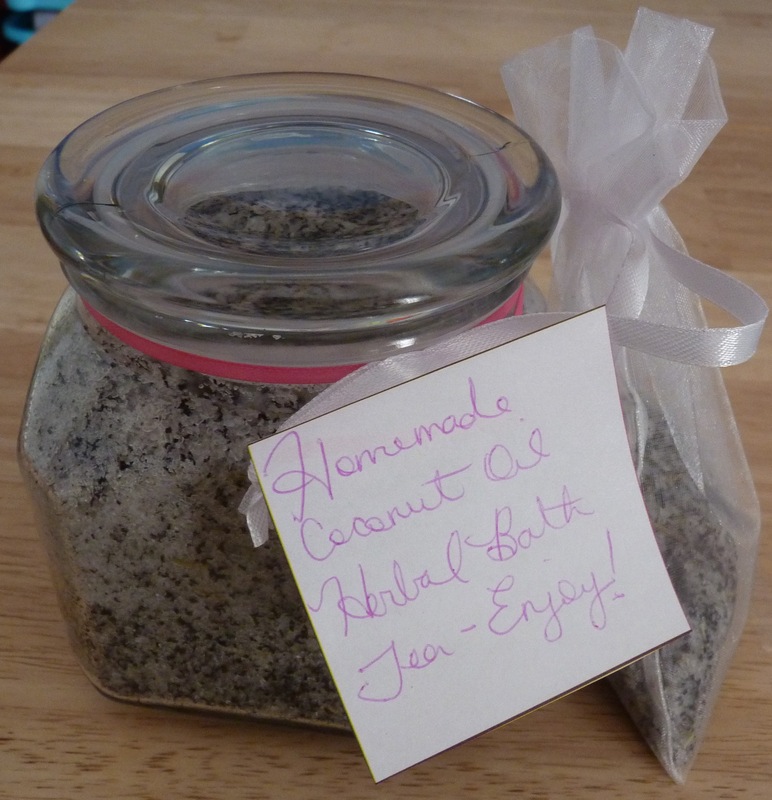 I used coconut oil because of its fantastic softening properties (and divine scent). I added about 2 tablespoons of coconut oil and blended it extremely well (you have to mash and pound the oil with your spatula/spoon). 4. Add essential oils and blend well. A little goes a long way! 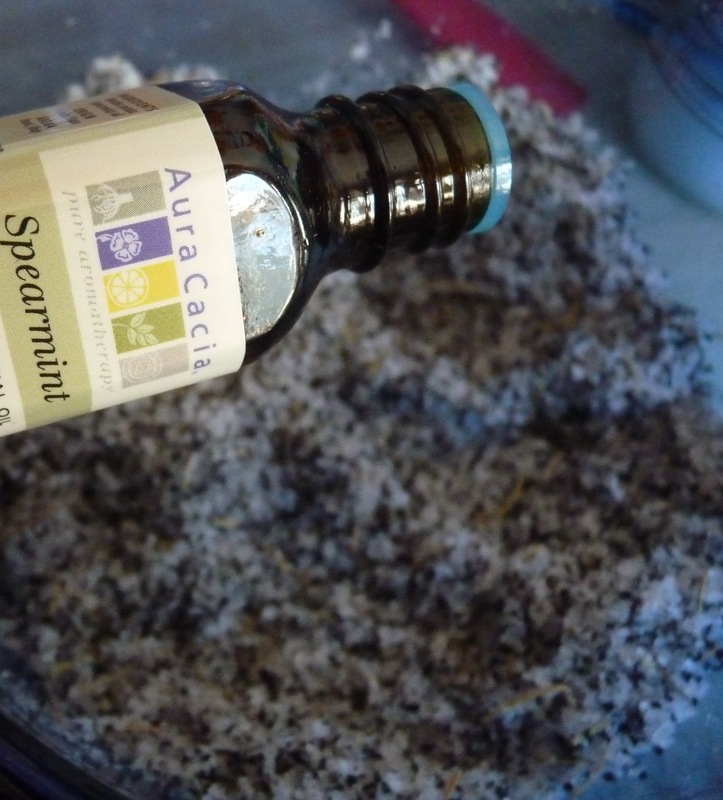 If you have any other scents you would like to add (like vanilla extract), now’s the time. I used about 15 drops of spearmint. 6. Spoon into air-tight container (to keep it fresh longer). Include an organza bag (or other item in which to stash the concoction) and attach a note with ingredients and directions for use. 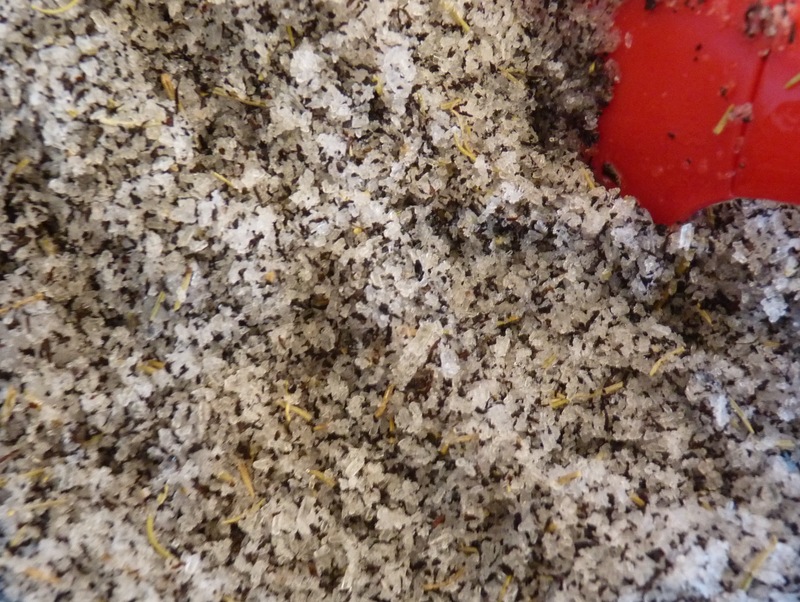 I had my first herbal tea bath right before writing this post. 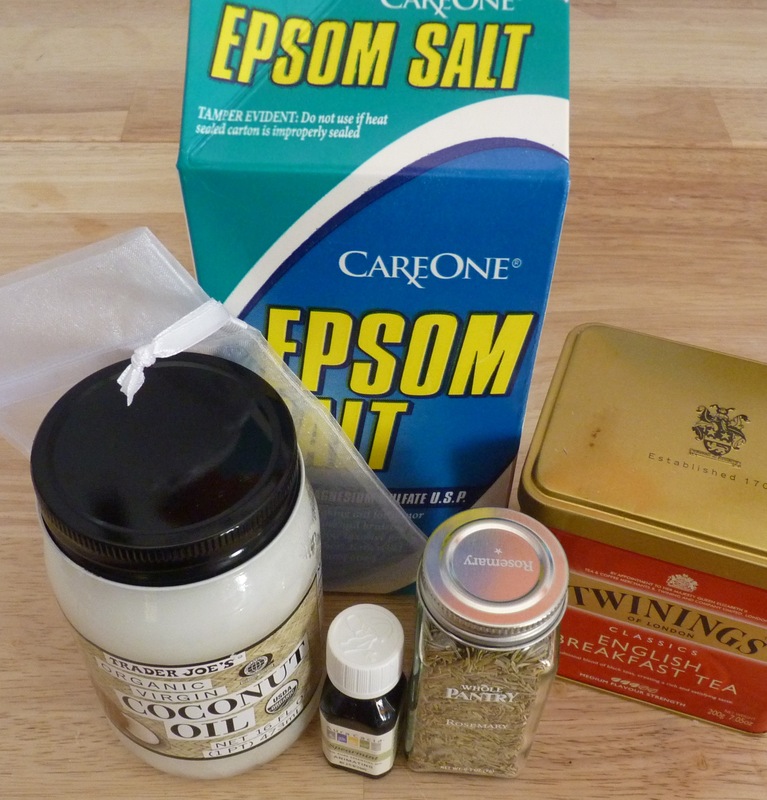 My legs were sore from running around like crazy yesterday, and I wanted something soothing to help ease the aches. 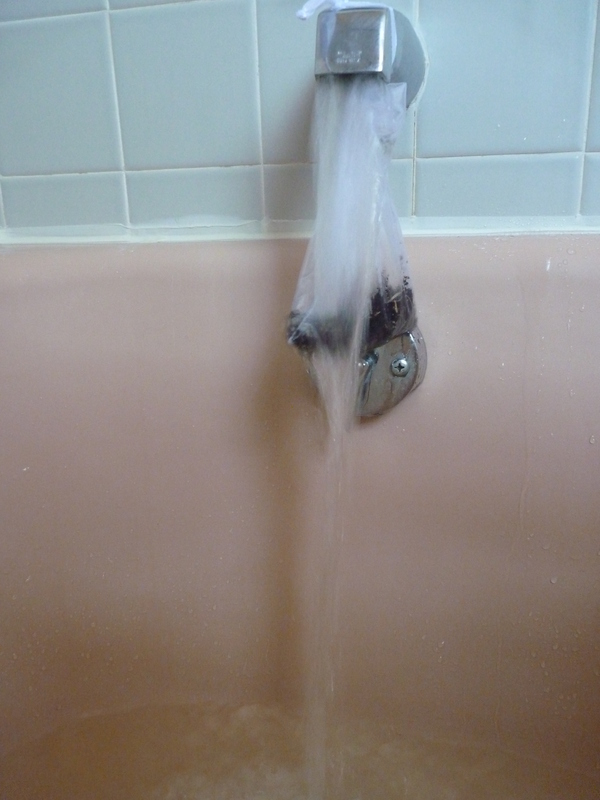 I drew my bath (tying the organza bag around the faucet so the ingredients would begin to disperse immediately), then sank into deliciously-scented water. The coconut oil made the bath water moisturizing but not greasy, the tea added a little color and a wonderful scent, and the peppermint essential oil was invigorating. 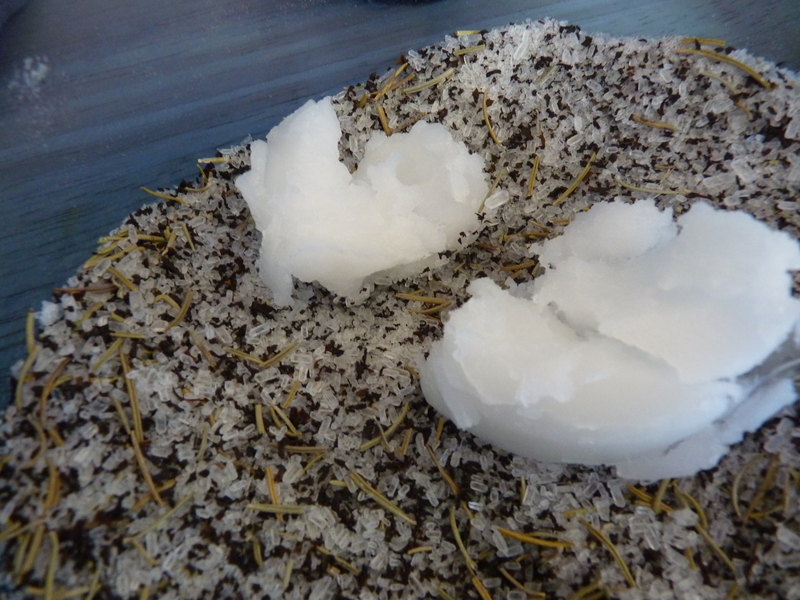 I used the organza bag as a loofah on my arms and legs once all the salt had dissolved. 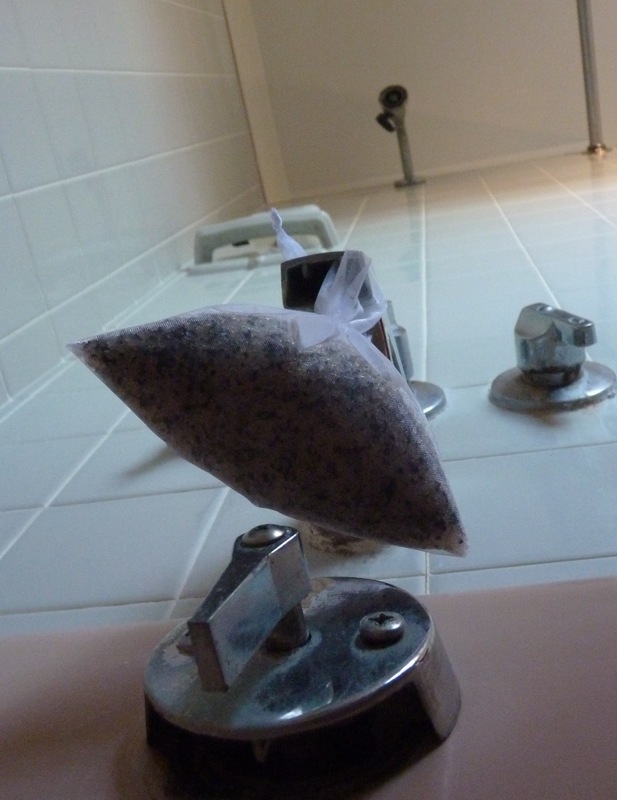 Finally, I finished up bathing, rinsed out my organza bag, and let it air dry in anticipation of my next heavenly bath.